you might have guessed that I'm a little bit enamoured with plants by now? my house has become somewhat of an urban jungle (james has long given up on rolling his eyes when I bring home another plant.) I will squeeze a plant into any nook I can find, nothing beats bringing the outdoors inside for me. I'm not the most green fingered person but with a little bit of effort I haven't managed to kill a plant for a long time now- hurrah! I've learnt not to overwater my succulents and keep an eye on the ones that like a little more water (especially my ferns) and it's paid off. I've also transplanted some of my older plants into bigger pots which led to a drastic growth spurt and they're flourishing. 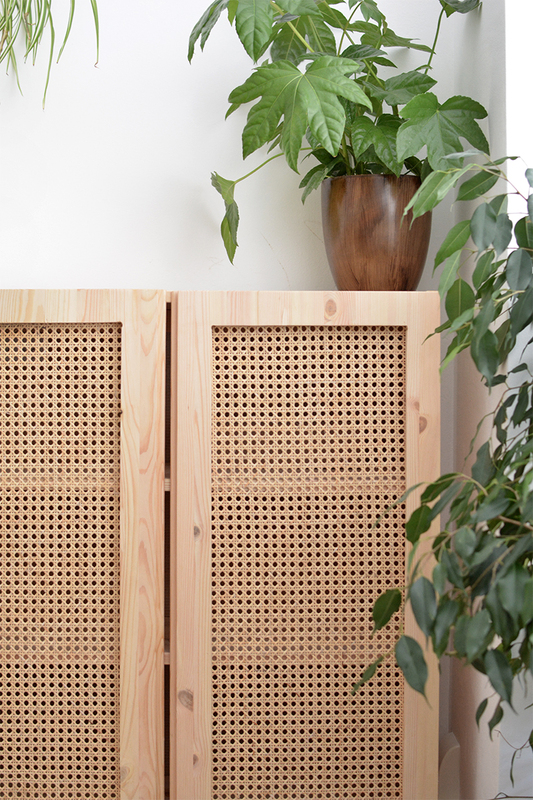 I wanted to share a few ideas on how to incorporate greenery into your home and try and show how it can become a feature rather than an afterthought. I picked up this styling tip when I was in stockholm, our room was filled with clusters of small vases with plant cuttings in and I though it was beautiful! 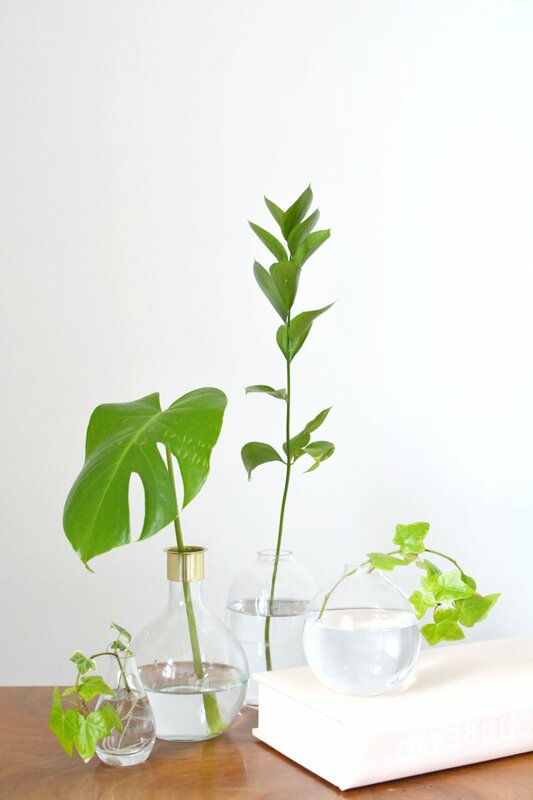 I love the simplicity and it makes a nice change to use cuttings rather than flowers which can die off so quickly. I find h&m home the best retailer for these scandi glass vases, you can buy then individually or sometimes in mini packs of 3. they're perfect for styling on coffee tables and shelves, just remember to change the water occasionally and marvel at them when they begin to root- ivy is a really good cutting for these vases. 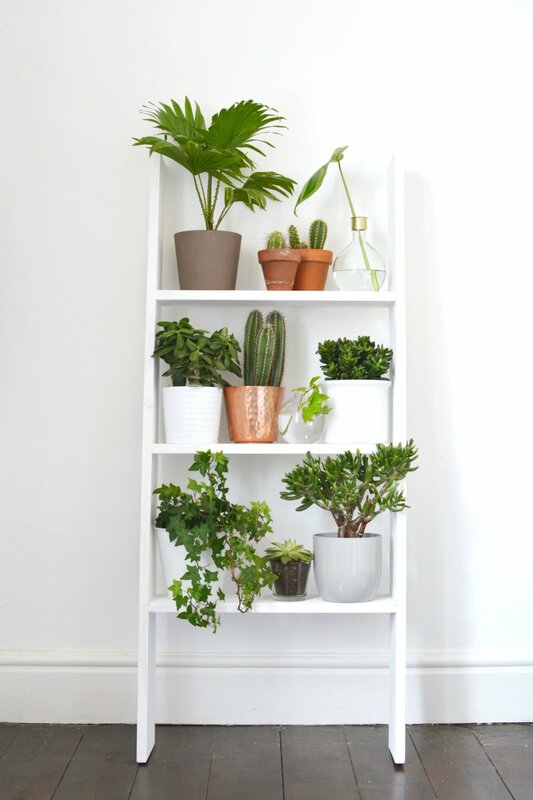 when I made this ladder shelf it was actually intended to house my plants. I wanted to display a large group together for maximum impact and plant shelves are the perfect solution. 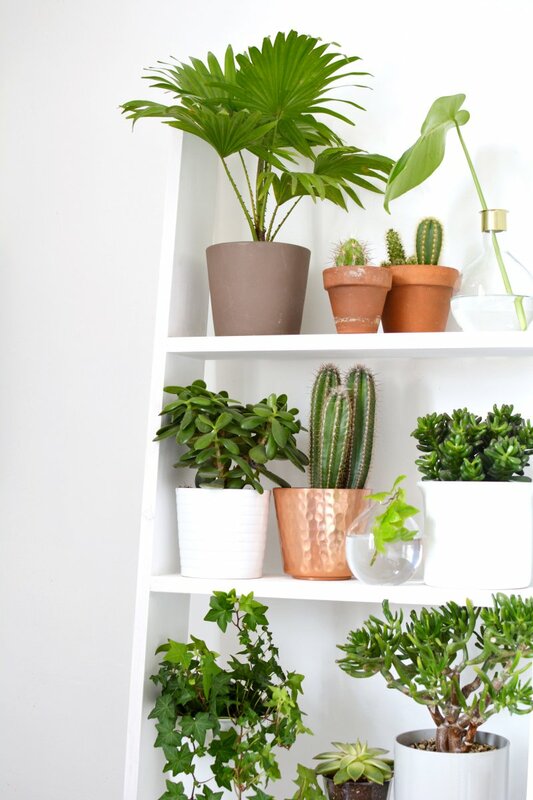 my pinterest is full of plant shelves of all shapes and sizes, they become an instant feature in a room and you can switch up the plants and add in trinkets to your hearts content. 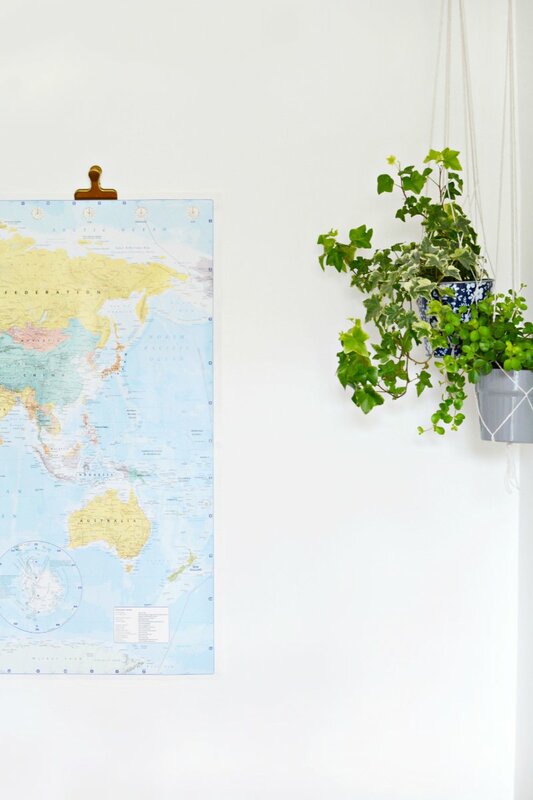 it's such a simple way to curate your favourite greenery and bring a touch of nature inside. if you fancy making one you can find my ladder shelf DIY here. a really simple way to add some colour to your living space. 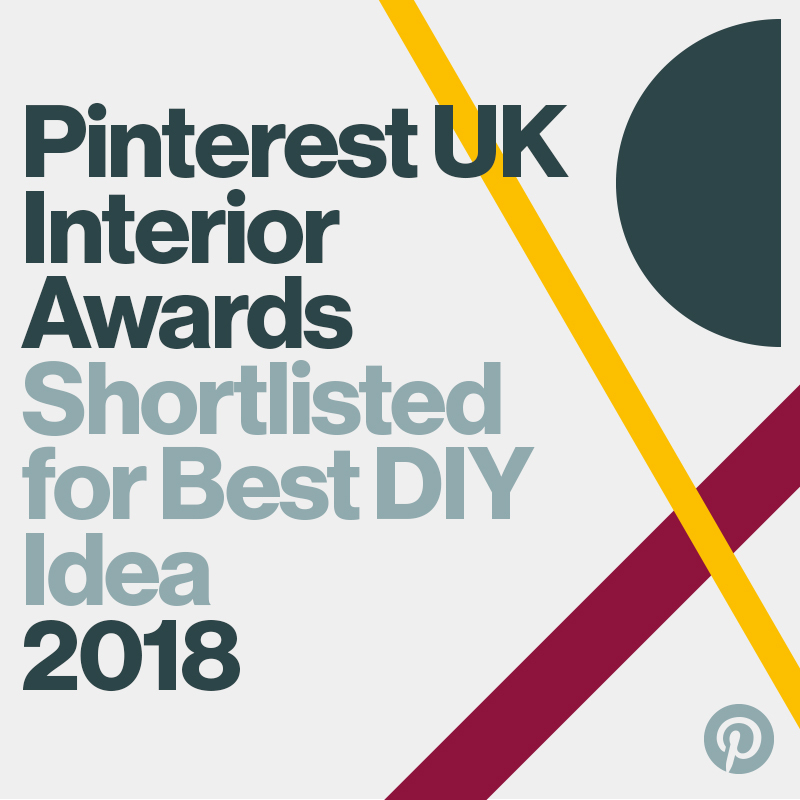 they're great for hanging in groups (I love to use them in alcoves or near windows) but hanging them individually is a delicate way to style a small space. I have a few hanging off door handles and hooks around the house. 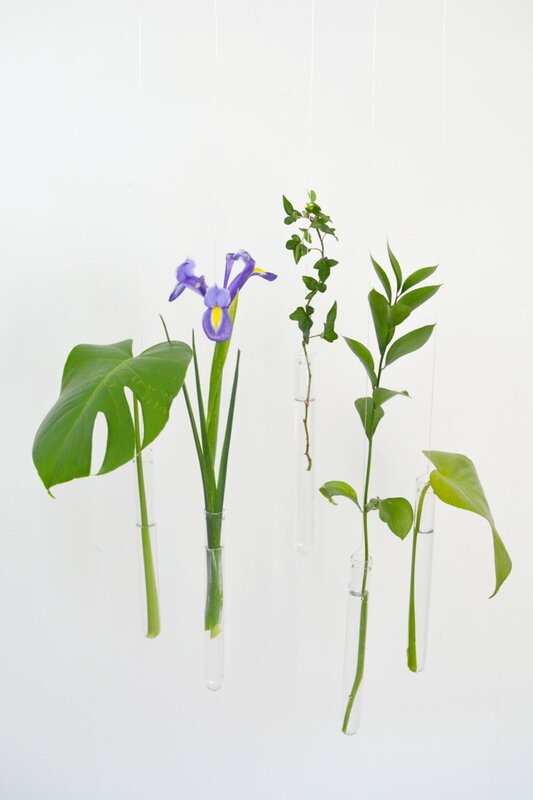 I picked up these hanging test tubes here and you can read the DIY here. this has to be one of the most popular hanging planter DIY's around (I've lost count on how many I've pinned!) macrame string planters are easy peasy to make and you can use them to display your plants in more interesting ways. I find trailing plants like ivy a perfect fit for these hanging planters but they can work equally well with cacti or succulents for a quirkier look. I tend to hang them in the corners of rooms where I don't have much furniture, that way it still adds interest without cluttering things up too much. Love the ladder shelf. Wish I had room in my tiny flat for something like that. It's gorgeous. I'm loving the individual stems of greenery!